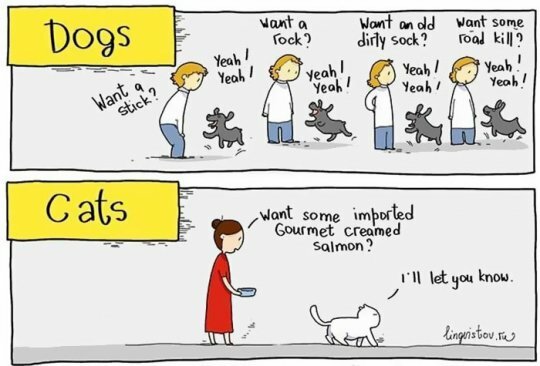 14 Amusing Differences Between Cats And Dogs That'll make your sides hurt. It’s an age old question. 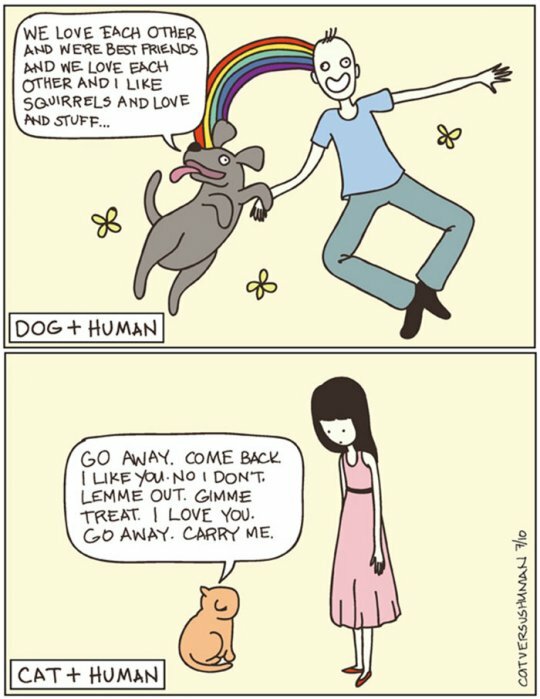 Are you a cat person or a dog person? Of course, there’s absolutely no reason why you can’t be both. 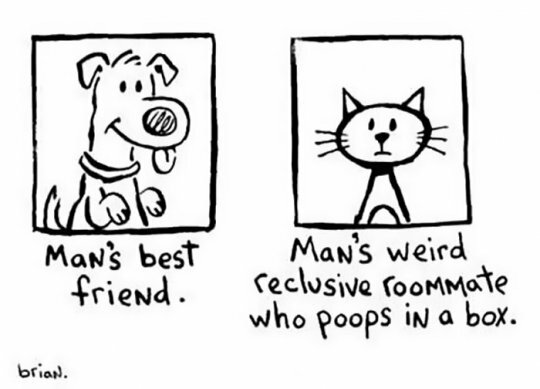 But there are a few differences between owning a cat and owning a dog. 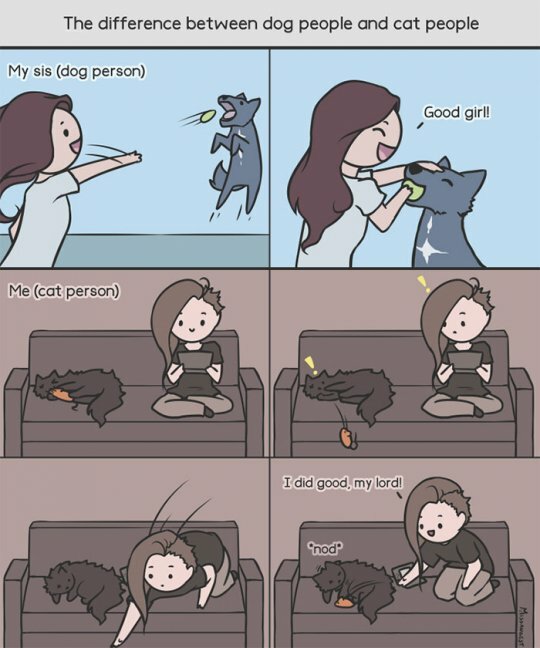 Dogs are sociable creatures. Cats are independent. Dogs need your love and affection. Cats can take it or leave it. 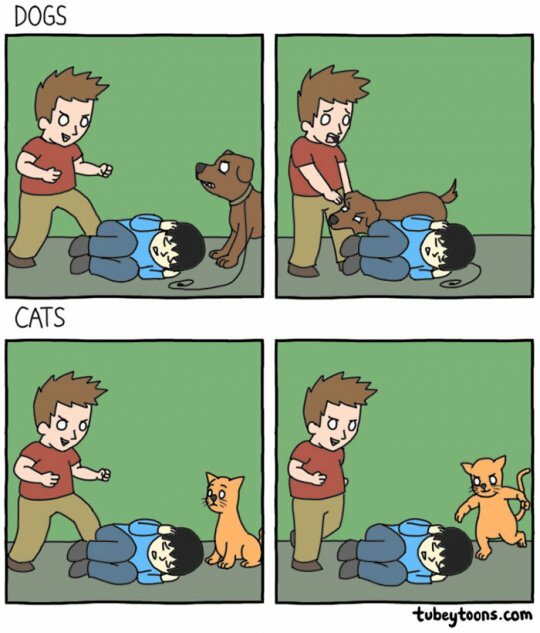 Here’s some comics that perfectly capture the differences. A dog will protect you from an attacker. A cat will join the attacker. Dogs want you to pet them all the time. Cats don’t. 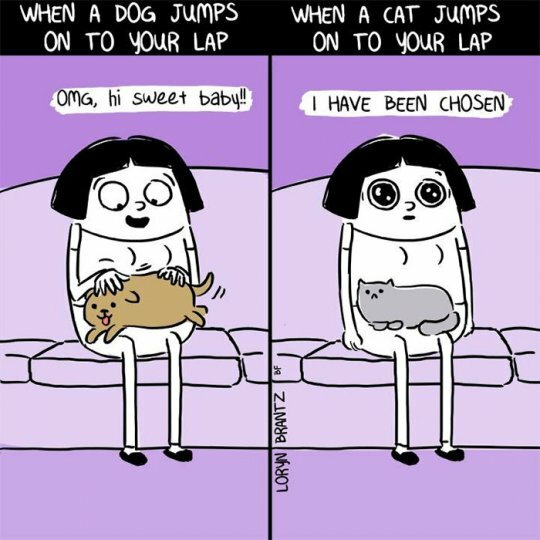 You can only pet a cat when they decide that you are allowed. 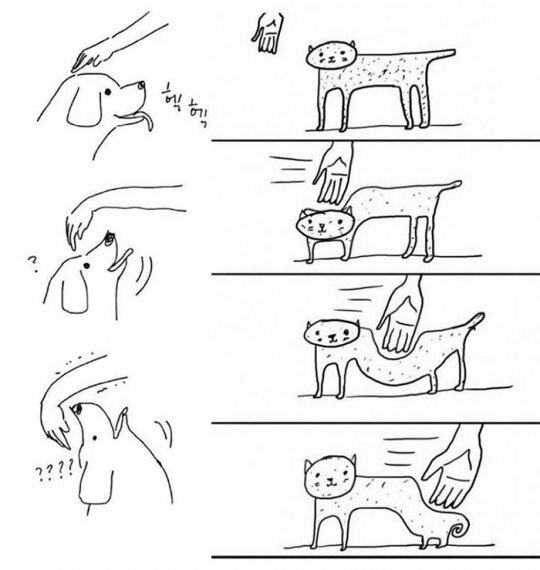 This diagram perfectly illustrates all the places a dog likes to be touched, and all the places a cat likes to be touched. 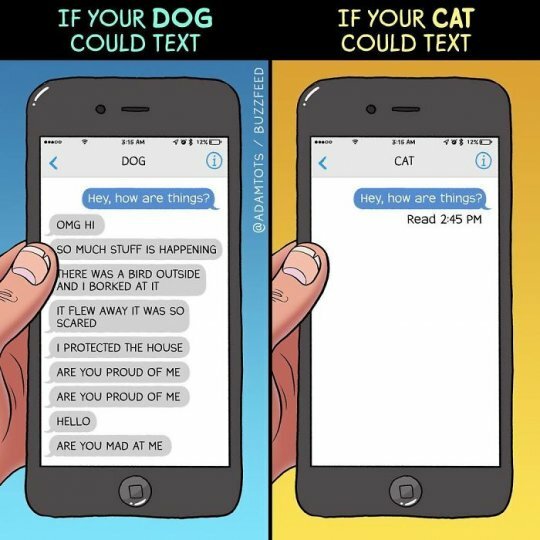 We’ve all wondered what would happen if our pets could text us while we’re out. This sums it up perfectly. Dogs love everyone. Cat chose the very special few. 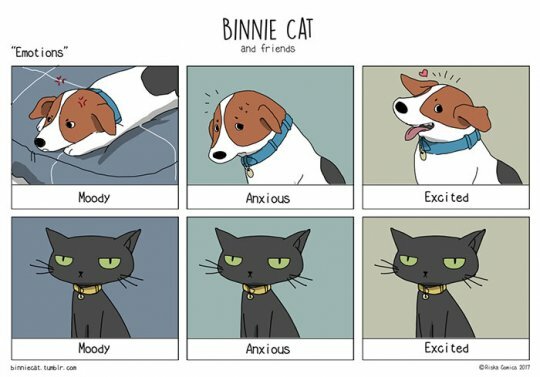 Dogs have a wide range of emotions and they express them. Cats are basically Ninjas, they don’t want you to know what they’re thinking even if their life depended on it. 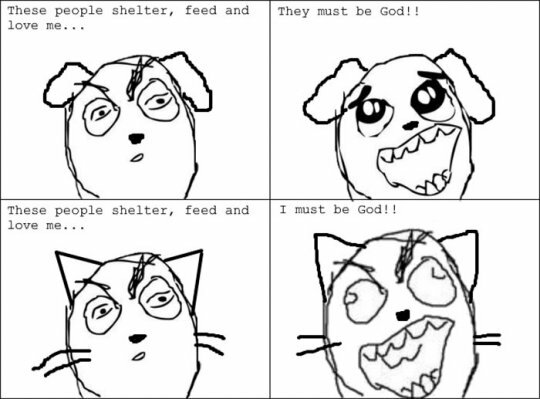 Dogs believe that you are God. 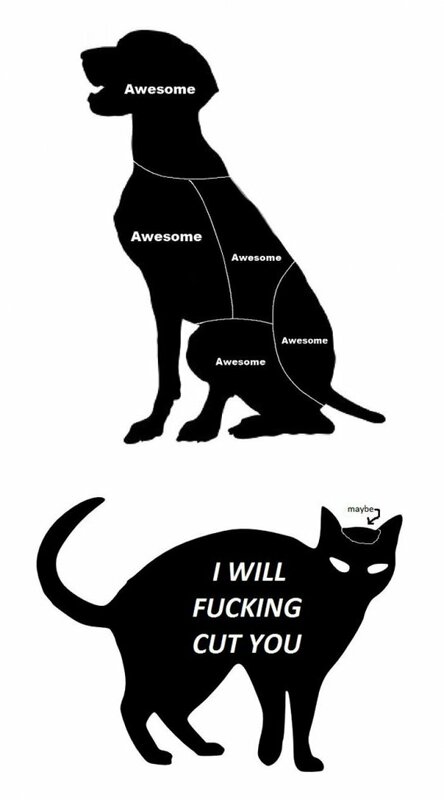 Cats know that they are. #8 - Who are they really? A dog is man’s best friend. A cat is your roommate or the landlord. You can bathe your dog in a few easy steps. You may get wet, but it won’t be too bad. There are no easy steps to bathe your cat. You will bleed. A dog is happy with anything you give him. A cat can turn his nose up at even the most select offerings. A dog will want to do whatever you are doing. A cat will never be able to make its mind up. 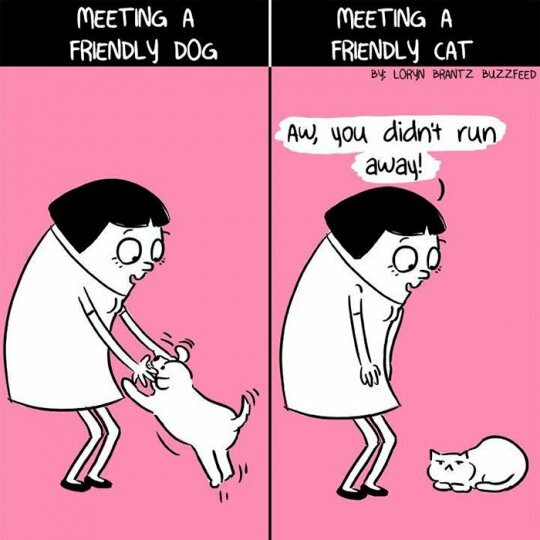 There’s a difference between meeting a friendly dog, and a friendly cat. Dog people can do things with their dogs - play games, go for walks. Cat people do things for their small furry overlords. 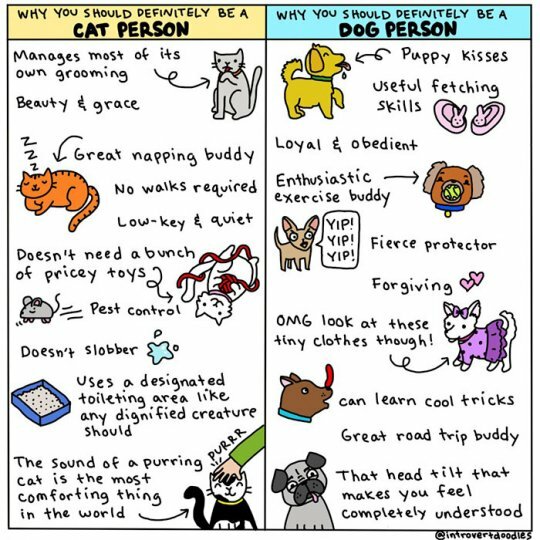 Both cats and dogs have their good points, so you should absolutely be both a cat person and a dog peron! Warning Signs of a Possible Cancer You should never Overlook. Do You Even... 10 Animals Who Lift More Than You.